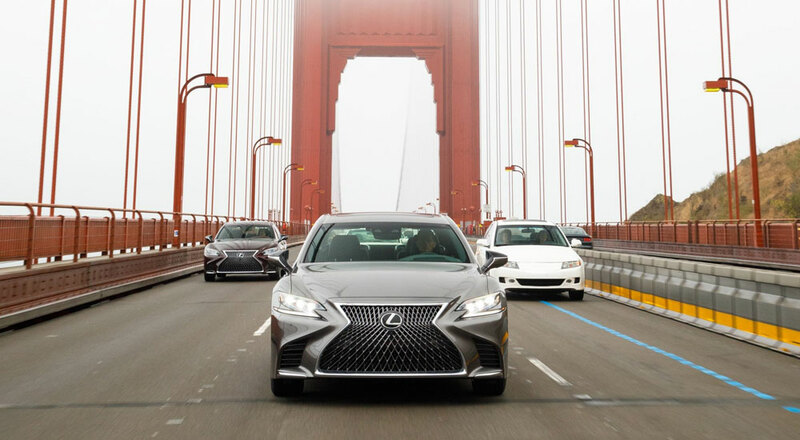 Reviews of the fifth-generation 2018 Lexus LS are popping up all over the place, so let’s highlight a few that are worth reading (or watching). 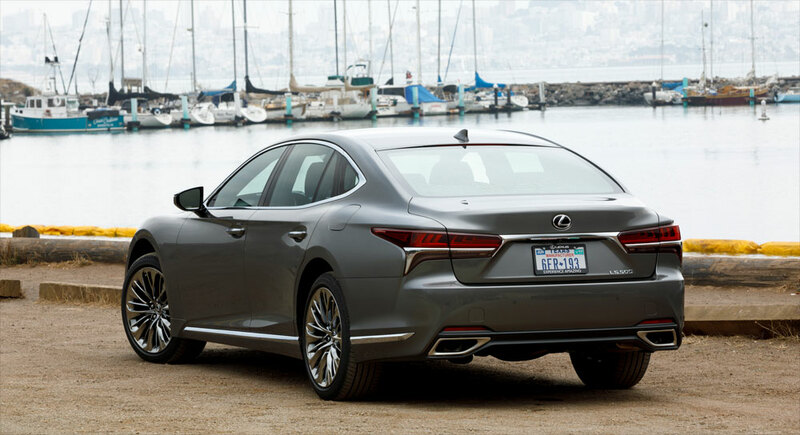 If God is in the details, then the new fifth-generation 2018 Lexus LS500 packs a supernatural punch. This is a car best appreciated at the granular level, where texture and intricacy invite ever-greater microscopic investigation and where you forget overall impressions and dive into the minutiae. But the big picture matters, too, and that’s more problematic. Like, where’d the V-8 go? First impressions of the V-6 are those of an easygoing companion that overdelivers on thrust. 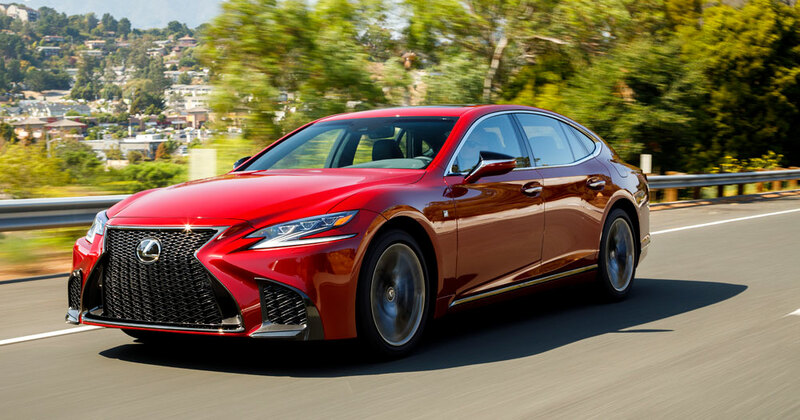 Lexus claims a zero-to-60-mph time of only 4.6 seconds for the rear-drive LS500, and that’s in a dreadnought that weighs nearly 5000 pounds. We think Lexus’s claim is too quick, considering 4.6 seconds is all we could get out of the more powerful and lighter LC500…It would be nice if the turbo V-6 had a discernible voice, though. Even after spending just a few minutes behind the wheel, it’s plainly obvious that the 2018 LS is a deviation from the four generations that came before it. Whereas those previous cars coddled occupants with a soft and supple ride, the 2018 LS feels taut and hunkered down. In fact, Lexus is so serious about making the LS more of a driver’s car that they’ve even include a Sport+ setting. Those madmen! The amazing thing is, they kind of pulled it off. The 2018 LS500 feels surprisingly confident on winding backroads. Obviously a vehicle as large as the LS is never going to feel like a sports car, but it behaves like a bona fide sports sedan. That’s thanks in large to a re-engineered Adaptive Variable Suspension system that now offers 650 levels of damping; in comparison, the outgoing version of the system had just nine levels of damping. Lexus’ new twin-turbo V6 also appears to be a peach of an engine. Peak torque comes in at a low 1,600rpm, meaning the LS has plenty of low-down grunt. And, unlike some turbocharged engines, the LS doesn’t seem to lose any steam in the upper portion of the rev band, so there’s available power all the way to redline. It even sounds darn good when you really start to whip it. Prospective buyers have to accept the controls in any car, but I single this one out because it’s been one of the least popular among our editors and consumers. In lieu of a touchscreen (our preferred interface), some automakers separate the display from the means of controlling the onscreen menus — usually a rotary knob on the center console that also has a joystick motion and press-to-enter function. 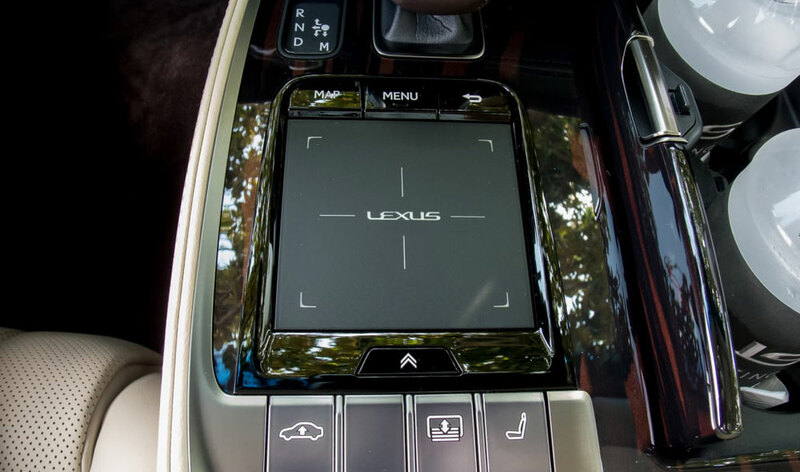 This isn’t a great way to get a cursor around a screen, but unfortunately, Lexus’ solutions to that problem — mouses and touchpads — have been controversial at best. We find the touchpads especially difficult to use when the car is in motion, but at least the generation in the new LS seems a little better than that in the RC coupe and NX SUV. It also helps that these cars are more docile and smoother-riding, so disruptions are fewer — but on the flip side, this car’s menus are more numerous and complex, so you’ll need to use Remote Touch more frequently. One step forward, one back.